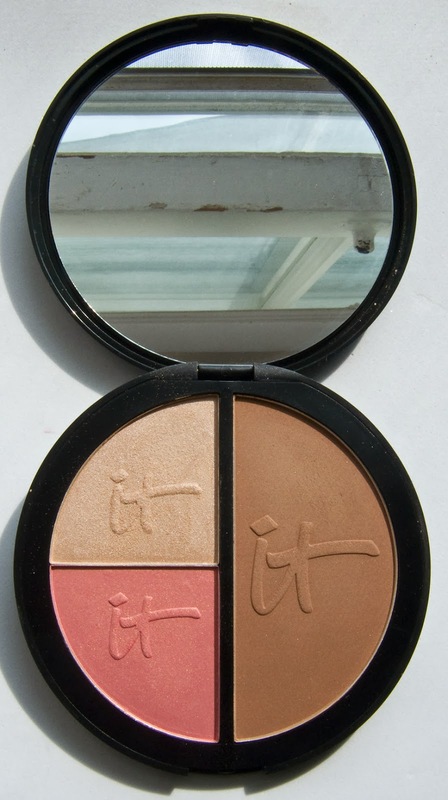 This palette contains Highlighter, Blush and Contour/Bronzer shades. The finish of the highlighter is butter smooth and finely milled. 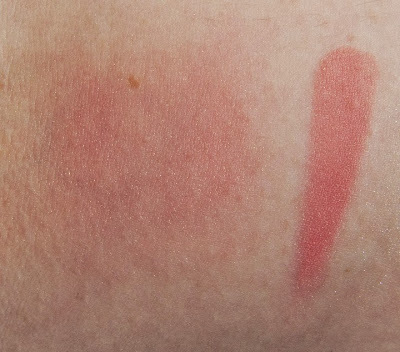 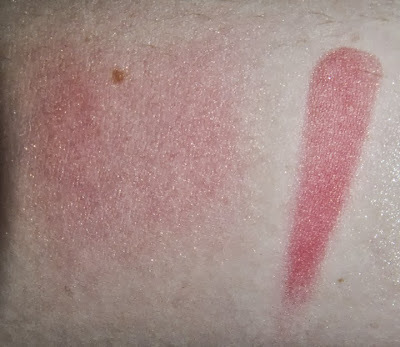 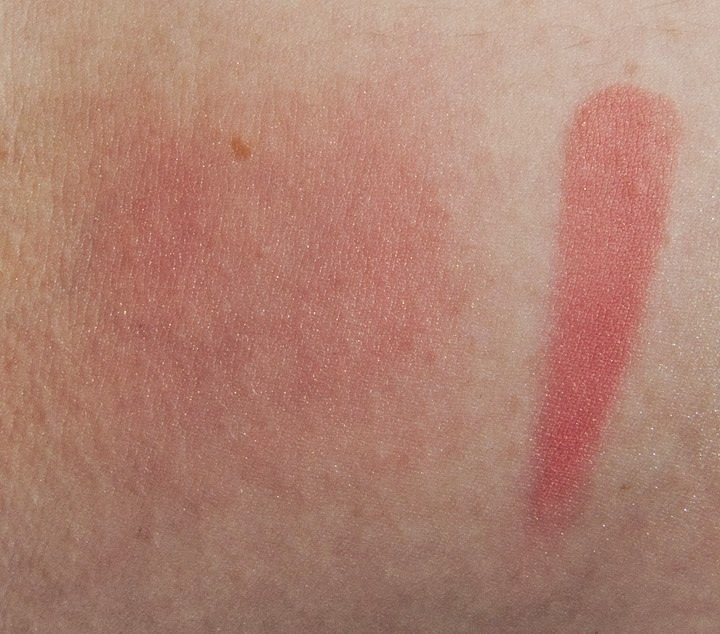 The blush is richly pigment pink base with micro shimmer. 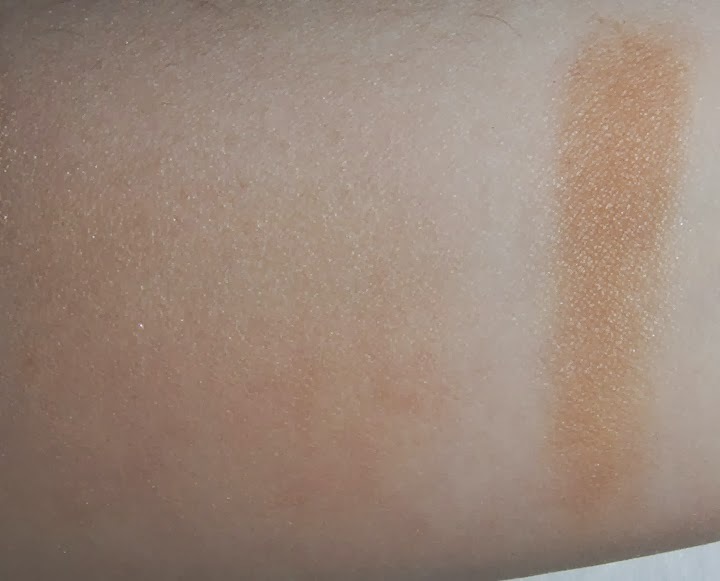 The bronzer is a smooth matte powder the buff out nicely with not chalkiness. 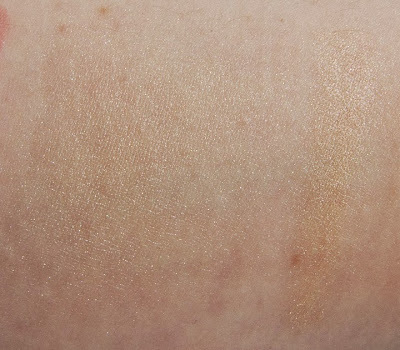 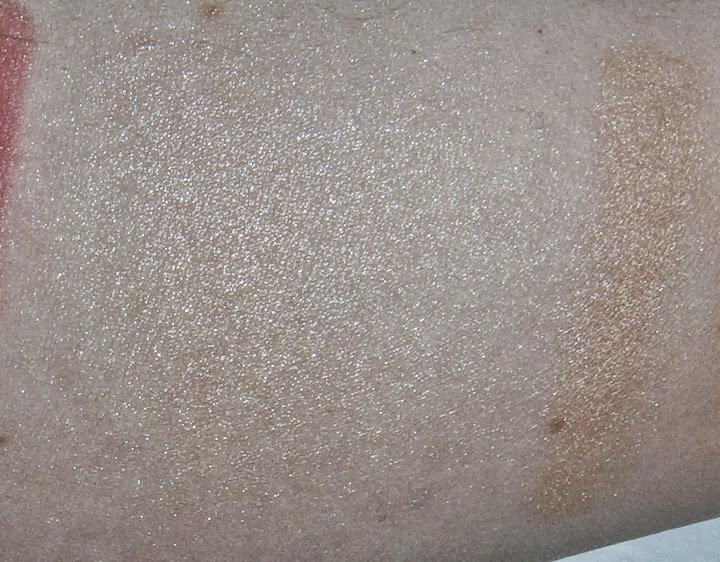 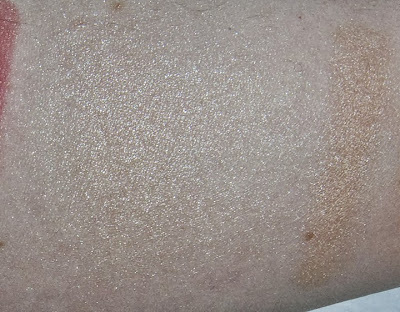 Highlighter is a neutral champagne beige that sheer out to a light shimmer ivory. 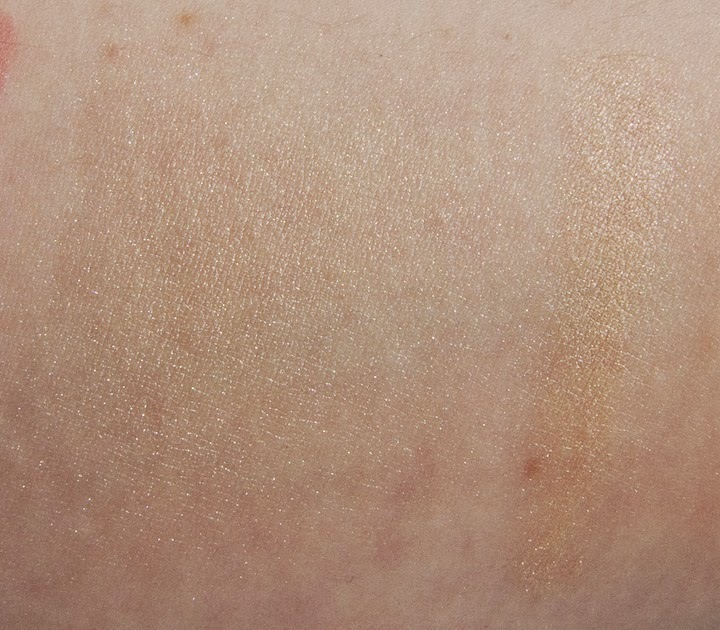 Blush is a warm tone pink with micro gold shimmer. 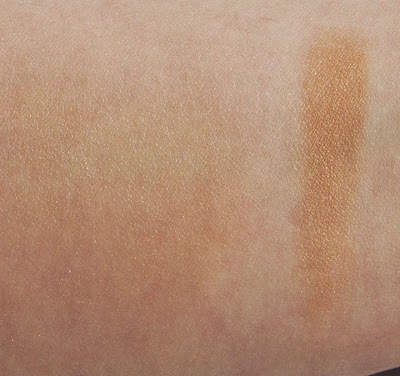 Contour/Bronzer is a satin matte mid-tone warm brown. Wear: I got about 12 hours wear on the face. 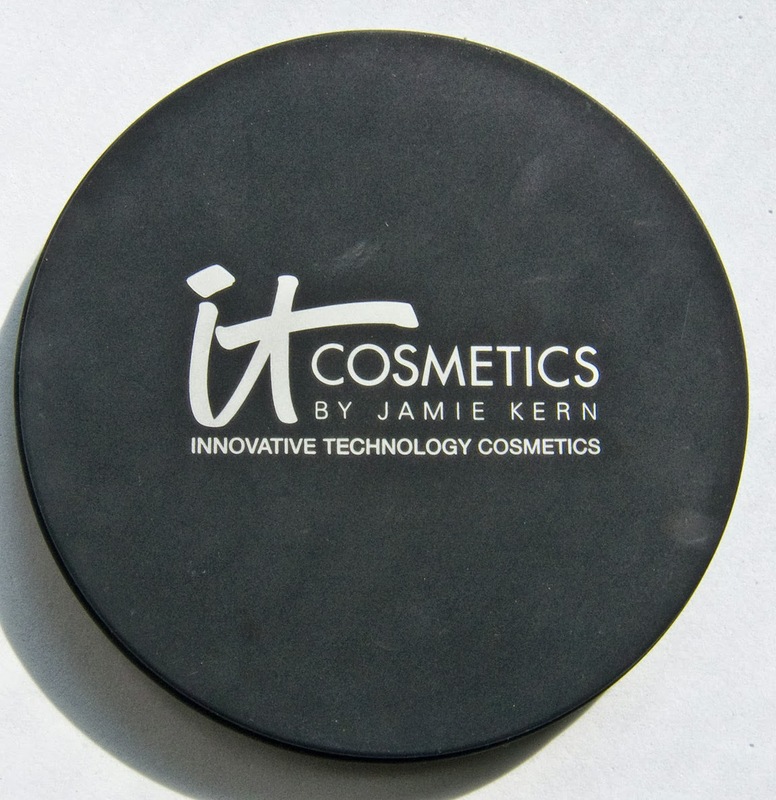 Packaging: is a rubber texture black compact with a large mirror on the inside. 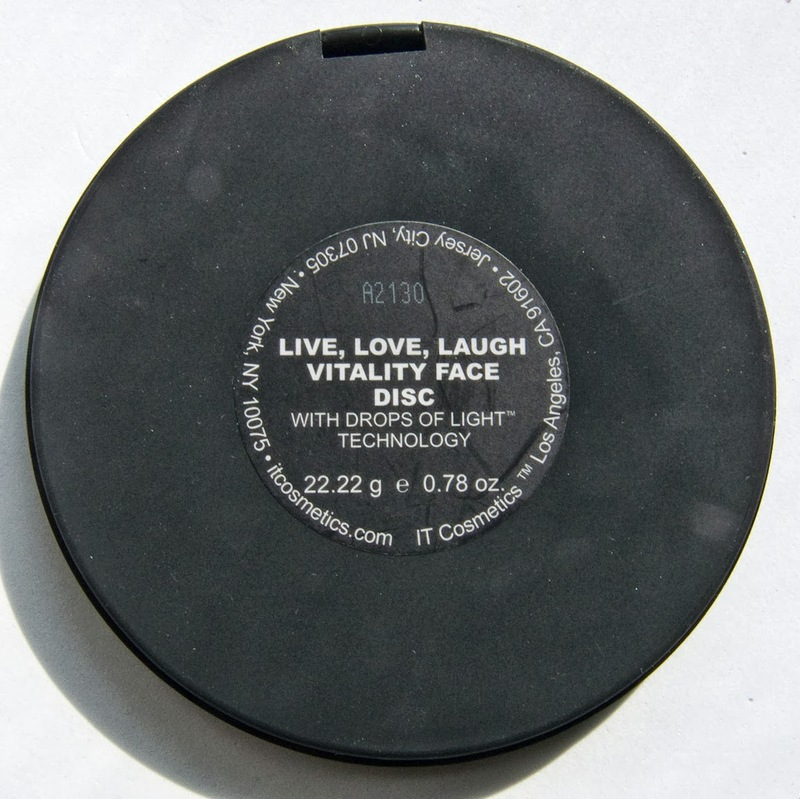 It's relatively light as most of the weight comes from the mirror. This is a nice staple palette to have with is housing everything you need for the face. 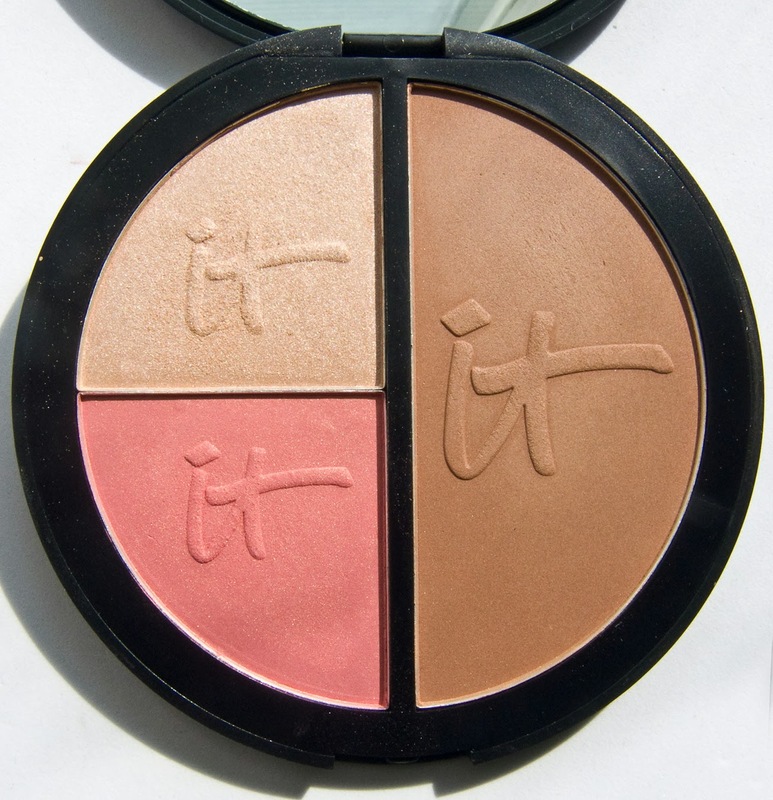 If you are truly fair tone you might want to skip this one as the bronzer run a touch warm rather then neutral. But I can see this one flattering on a number of skin tones from light to medium deep.